This is a great idea from a blog chocked full of fantastic ideas – new to blogging? Want to connect and find new blogs and site to read? Check out this post and peruse through! Thanks, OM! 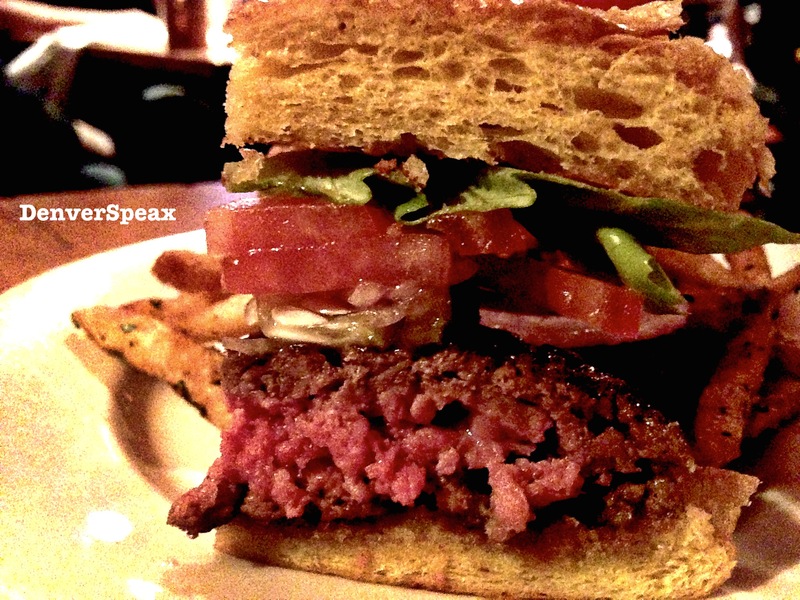 We are not a glorified Yelp, but an honest look at what’s GOOD, only posting positive reviews. Come hang out! 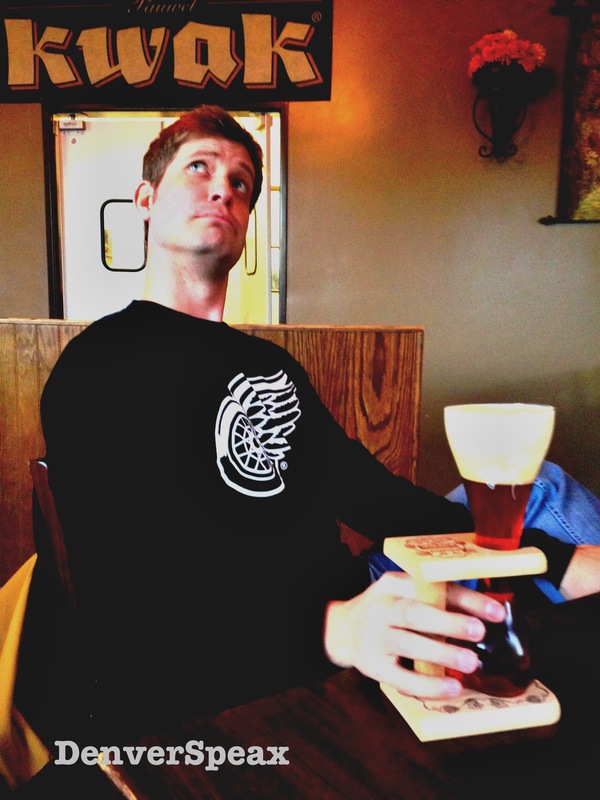 Check out the website and sign up for this Wednesday’s crawl in LoHi. 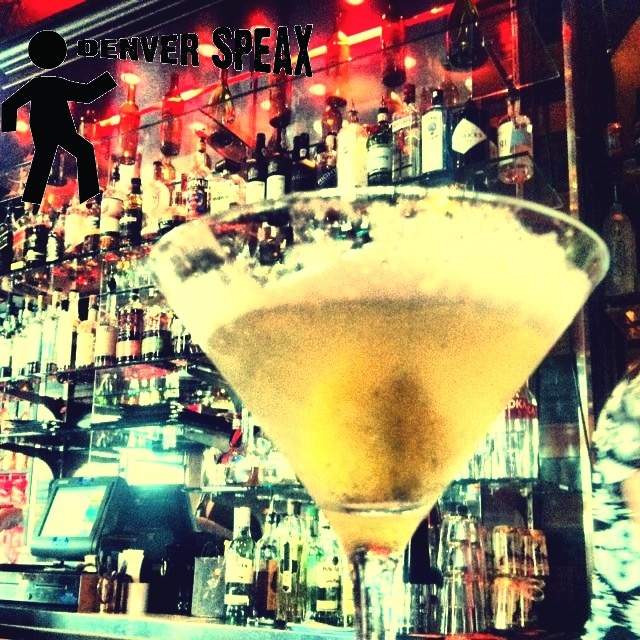 For more information on this great event, contact Maggie, Denver’s Dishcrawl ambassador, email: Maggiek@dishcrawl.com. We love visiting New Orleans. Period. Not only do Steve and I, (Kirsten), get to see a large part of our family, but New Orleans is truly a flexible vacation spot. You can make the trip to NOLA whatever you want it to be. I know, I know… I must be lying, right? Bourbon street, Bourbon street, Bourbon street…. NO! Honestly, New Orleans is more than just flashing, beads, and obnoxious Bourbon street – it’s like, the holy grail of culturally preserved areas that still remain within the United States. 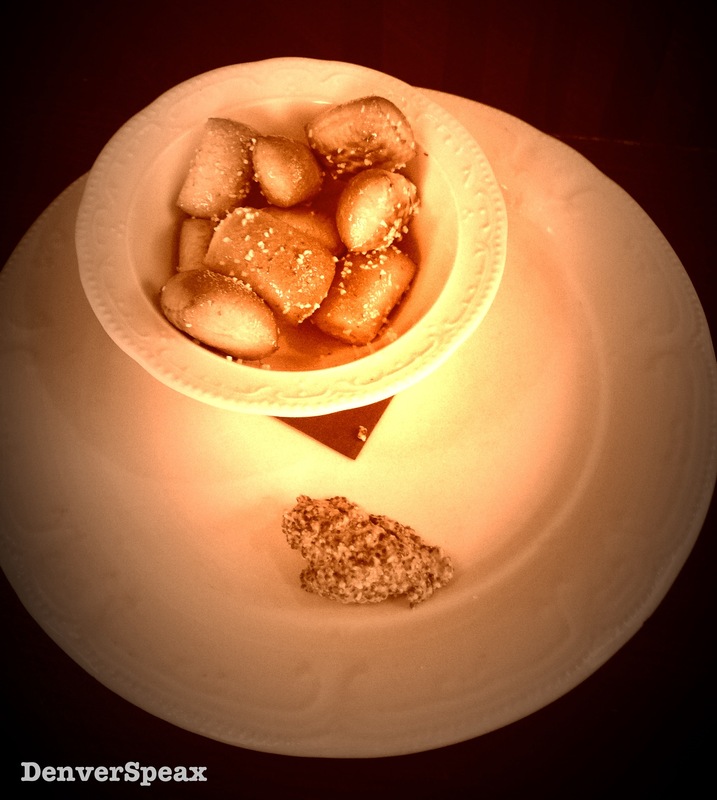 Let’s think about this – the state still follows Civil Code, established by French emperor, Napoleon, in 1804 (see Napoleonic Code), is the birthplace of Jazz (look up Buddy Bolden, born 1877), and has upheld tradition by producing the most delicious “fried fritters”, famously known as beignets, since 1862 at Cafe du Monde. 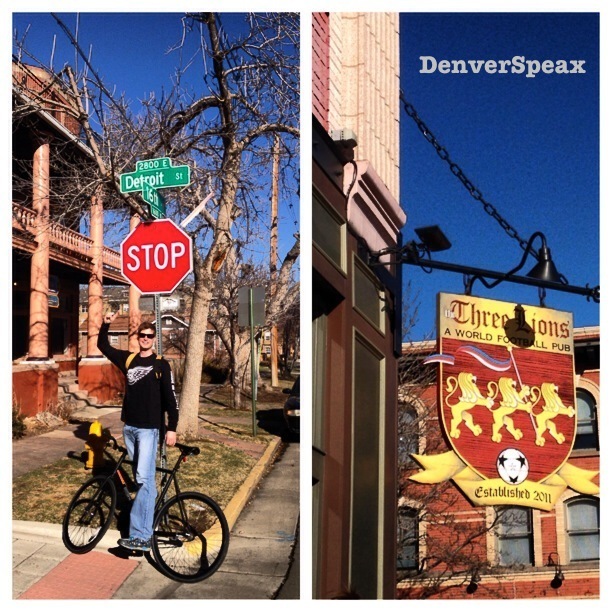 Because there is so much to do in this fantastic city, you can create a one-of-a-kind trip. Our kind of trip included going out and seeing the sights, staying in and catching up on some quality time with the family, and everything in-between. 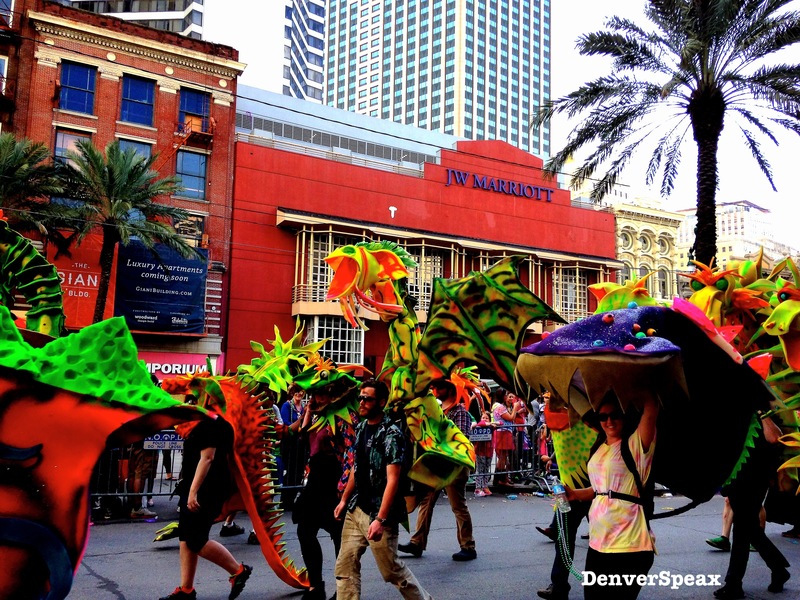 Check out our 4 night stay in New Orleans below over Mardi Gras, Carnival Season, 2014. We took off from DIA at 6:30 am on a plane headed to Houston, TX. Steve and I had found tickets for less than $50 each way, and picked up a rental car for less than $300. We had never driven from Houston to New Orleans before; be aware, driving in on the Friday before Mardi Gras is going to add about 3 hours to your already 6 hour trip. Here’s a tip if you do take this way – as soon as you can get on Airline Highway, or HWY 61, do it! 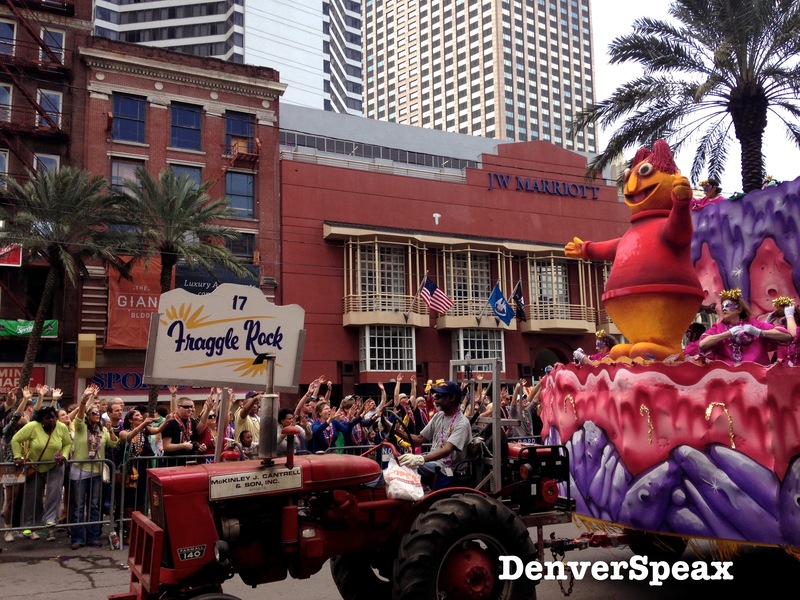 We find the parades just as fun as the kids do – stuffed animals, toys, and snacks are thrown in addition to beads. Our niece and nephew brought bubble guns to play with as well as played catch with a soft football in-between parades rolling. 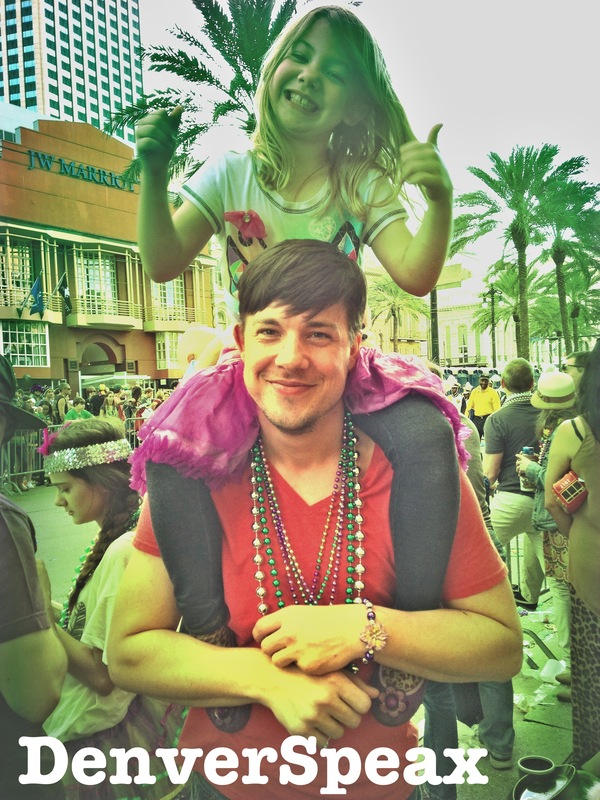 Mardi Gras parades are some serious fun, for grown-ups and kids alike. Because we brought a newbie with us, we had a brief visit to Bourbon Street and explored the French Quarter; kidless, of course! We always make sure to keep our wallets safe, and not leave our drinks unattended. As long as you don’t act like a moron, you can have a really great time in the Quarter. Pirate’s Alley – an Absinthe house (bar), close to Jackson Square that captures the New Orleans charm. 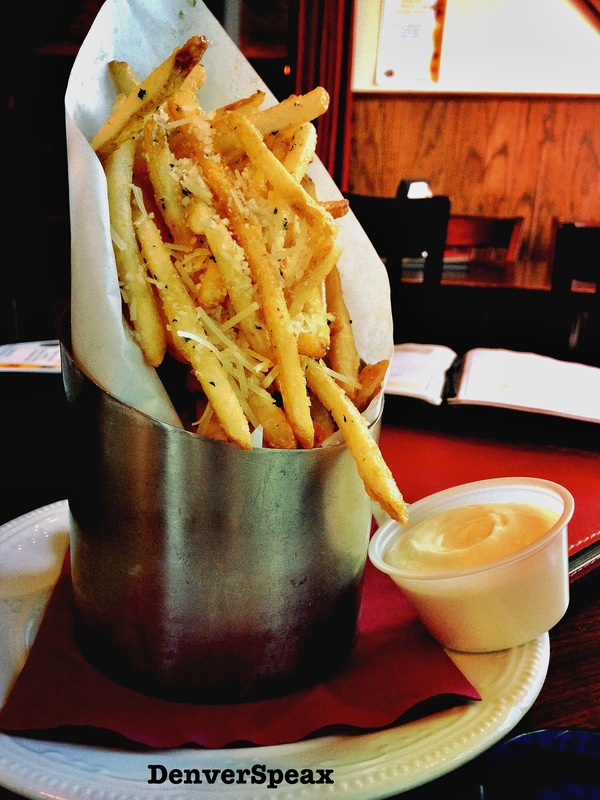 Their Pimm’s Cups and Bloody Mary’s are to die for, and the staff is fast, quirky, and enjoyable. The Original Cafe Du Monde in the French Quarter – Grab a chocolate milk or coffee, and beignets at any time – they’re open 24 hours. Be aware, there will most likely be a line… but, it’s so worth it! New Orleans Musical Legends Park – This is a great place to stop, listen to some live music, and grab a delicious bite to eat. The Spice & Tea Exchange – if you love the food of New Orleans, you’ll need to stop by this shop on St. Louis to pick up spices to bring home. Their Cajun Spice and Gumbo File are phenomenal! Don’t pass this place up. 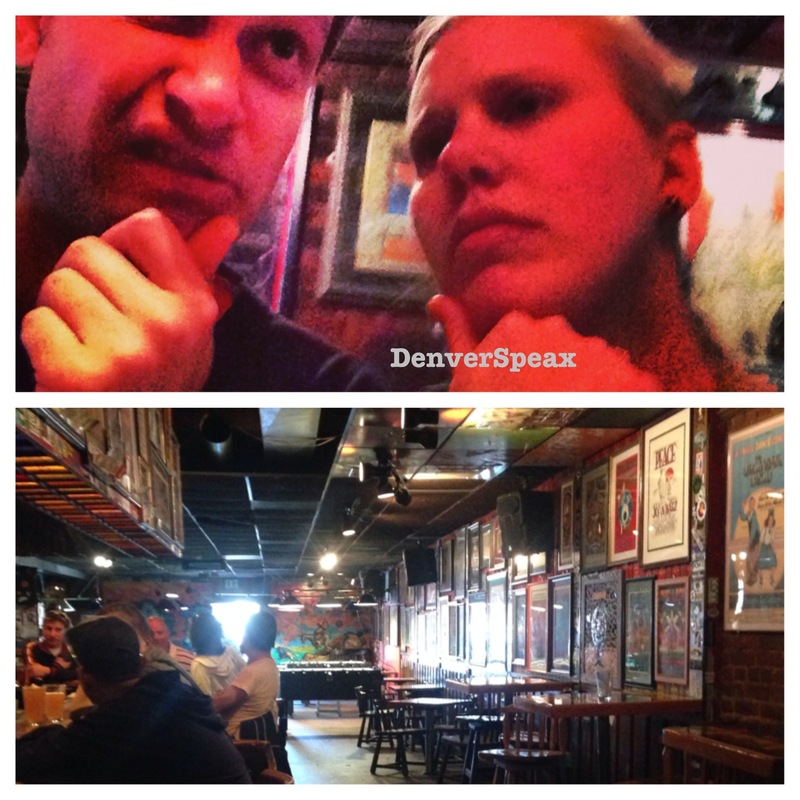 The Dry Dock Cafe– a neighborhood bar and grill, this place serves amazing seafood. Our favorite is the seafood platter, or the catfish po’ boy, fully dressed. Situated right across from the ferry in Algiers Point, it’s the best place to stop and get a brew on the way to the ferry, or even on the way home from the parade. New Orleans is a great place to vacation at any time of year; there are actually more festivals than days in the year, meaning there’s always something cool to experience. Also, there are tons of tours you can pay for that will guide you through the haunted areas of New Orleans, swamps, above-ground cemeteries, and more. Our advice: Set out in the morning, grab some beignets, and just bum around the Quarter and Jackson Square – meet some interesting people, listen to live street music, and take a peak at the amazing artists set up in and around the Square. There’s so much to do that it’ll be hard to leave. It’s a city that dangles fun before your eyes; a city at your fingertips! We can’t wait to go back in a few months and find fun, new and exciting places to go to share with you all! 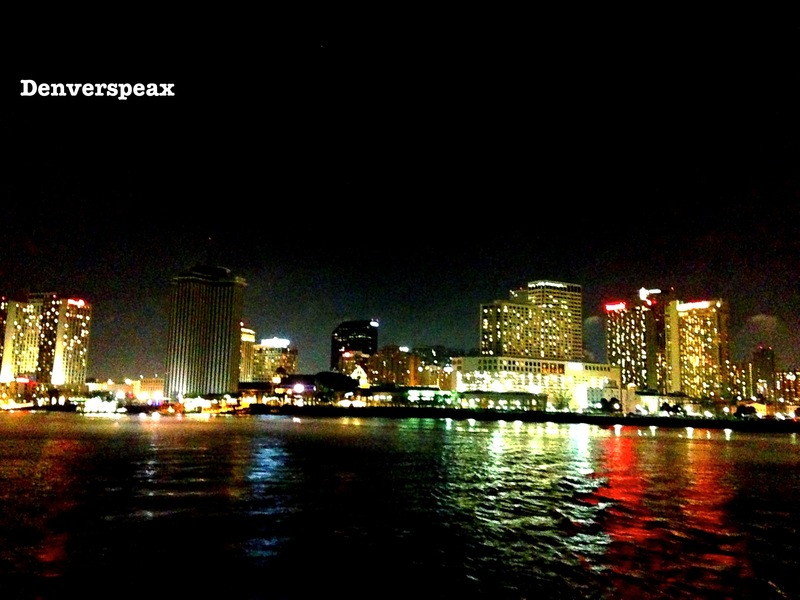 For more on New Orleans, check out our sister-site, Nolaspeax and stay up to date on what’s good in New Orleans, LA. We’re very excited to announce that we will be featured in the Hemming Plaza venue of OneSpark, the world’s crowd-funding festival being held in Jacksonville, FL, this April 9 – 13, 2014. 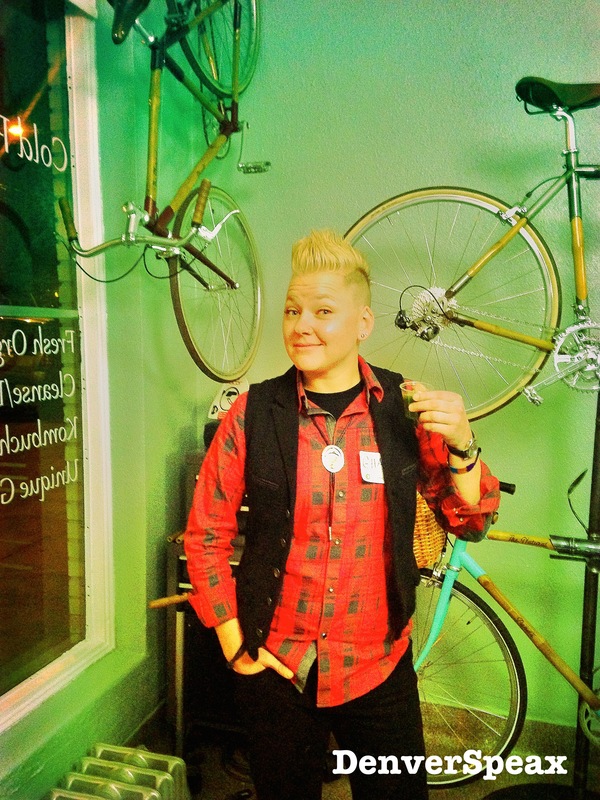 What’s OneSpark, you ask? OneSpark is a festival that brings creators from all over the world to one central place, Jacksonville, FL, to showcase their projects in fields like art, technology, innovation, and so forth, for a chance at $310,000 in crowd funds as well as $3.25 million in direct and capital investment. 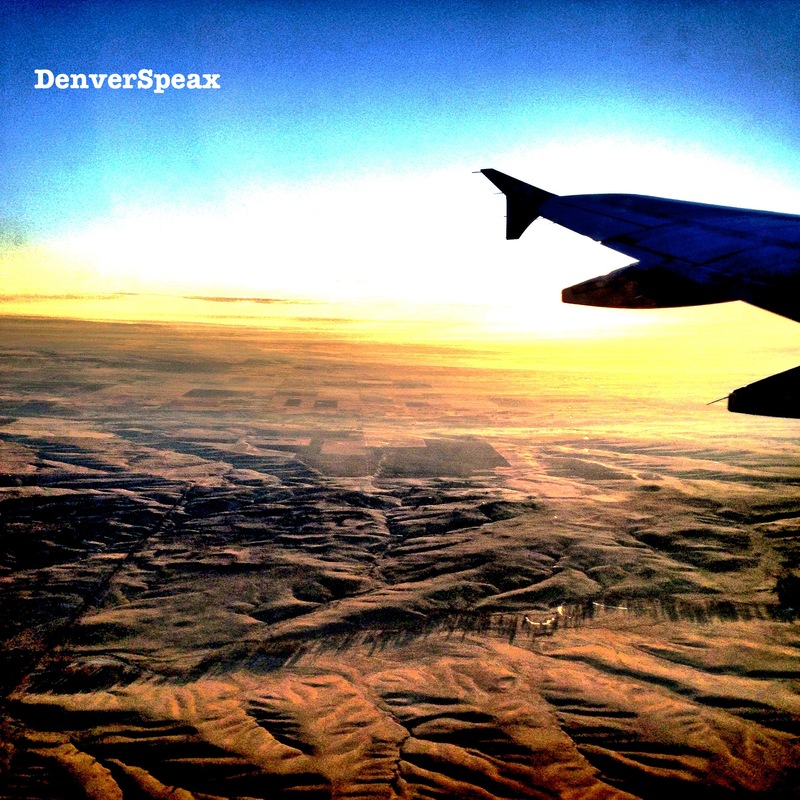 CitySpeax in its initial phases! 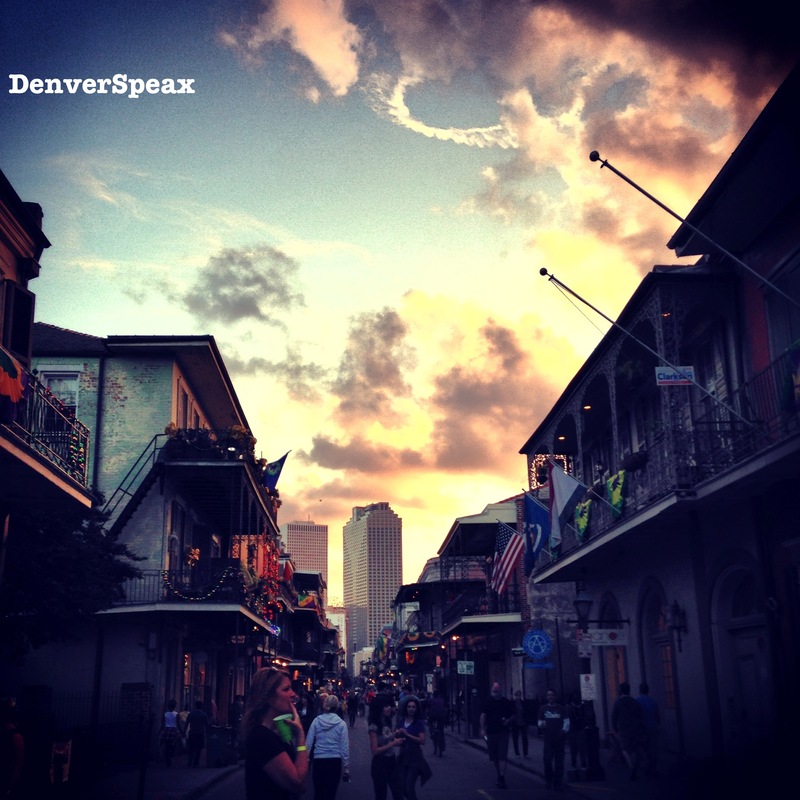 We have launched a project called “CitySpeax – Your City, Your Love”, which is the expansion umbrella that sites like DenverSpeax, JaxSpeax, and NolaSpeax will be housed under. 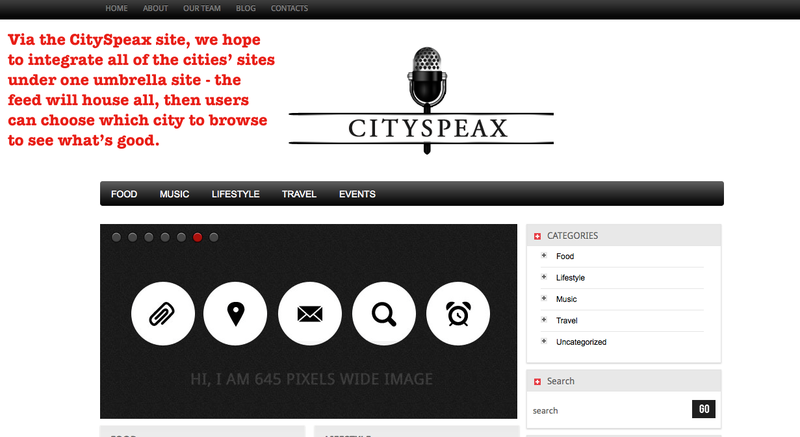 This one, central site of CitySpeax will support all of the cities under the umbrella brand, providing a one-site option to see what’s good in multiple cities around the globe. Next came JaxSpeax! The low down on what’s good in Jacksonville, FL. Our latest site: NolaSpeax! 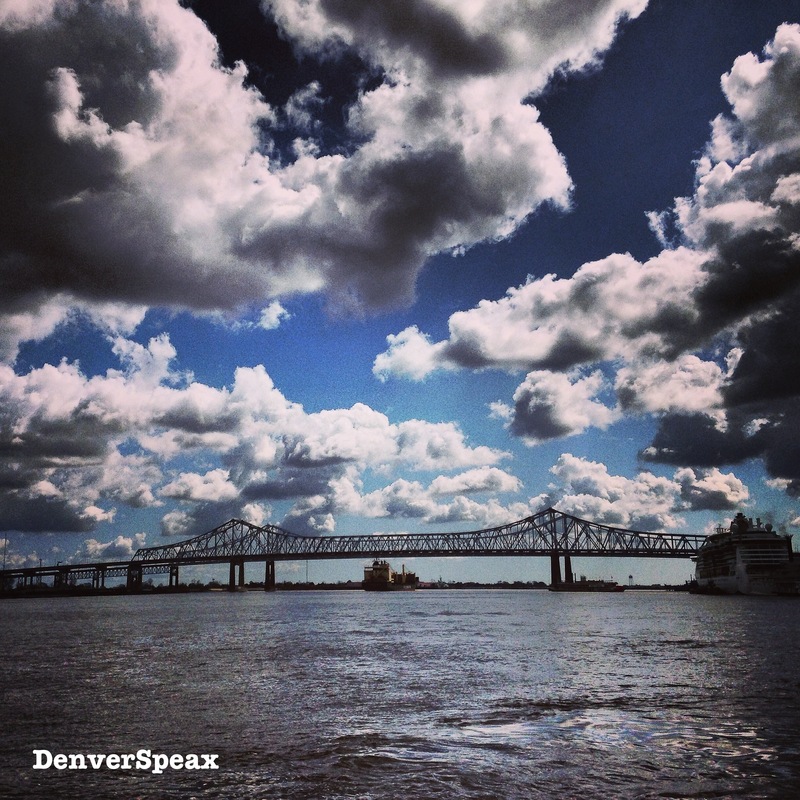 The low down on what’s good in New Orleans, LA. Why does CitySpeax matter? Good question – one that we have an easy answer for: COMMUNITY. It strengthens local communities and economies by featuring local businesses, events, and other things to do within the given city / surrounding areas. It provides a place for small business to shine by being featured. It provides advertising that’s aimed at a small business’ budget, not a large corporate spend. It provides tourists and natives alike the access to what’s good in their targeted city with a few clicks of the mouse. 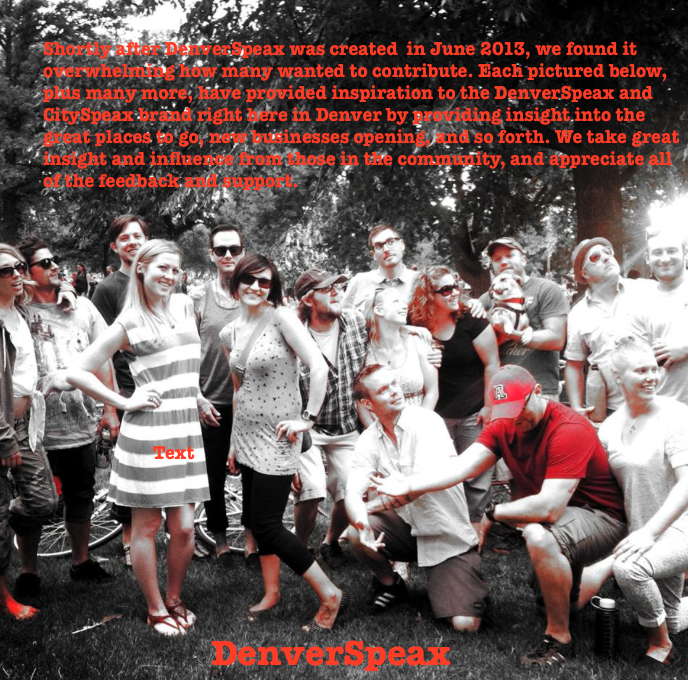 DenverSpeax, June 2013 – we’ve grown so much! 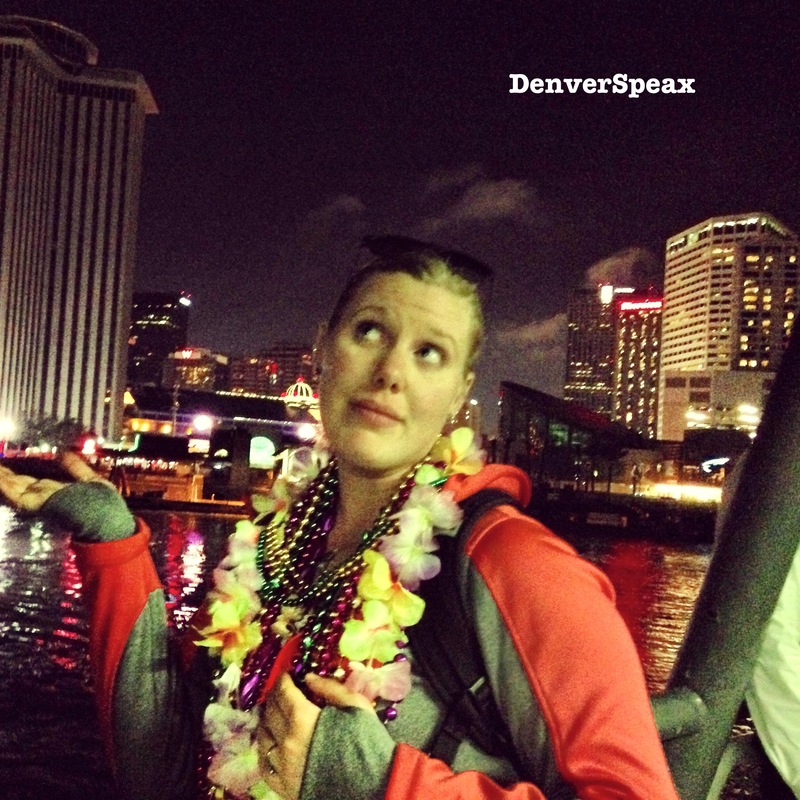 Why should you care about OneSpark? Well, because you, the reader, made this possible. Your love and support has provided us with the motivation to spread the good world all over the globe about what’s GOOD. By staying positive, and never focusing on the negative, you’ve provided us with the love and support to keep going, and to dream big. Thanks for having a positive impact on our lives, as we hope we have had on yours. Over the next month, we will be working hard to draw up plans for our 10 x 10 booth, which will showcase our CitySpeax project. Also, we will be working on free merchandise to give away to those who visit our booth, so make sure you stop by and say hello! We will make sure to keep you updated on our progress, and the results of OneSpark. Thanks again for being in our court, and providing the unlimited love and support that you have – it’s incredible, and we truly appreciate it.